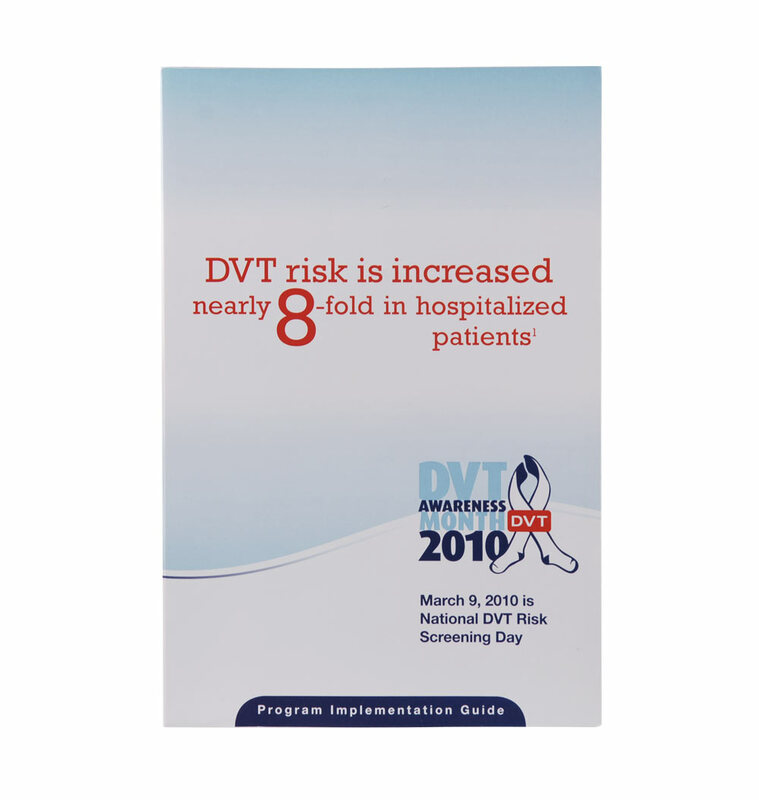 Based on ACCP guidelines, up to 52% of medical patients may be at risk for life-threatening DVT (Deep Vein Thrombosis). 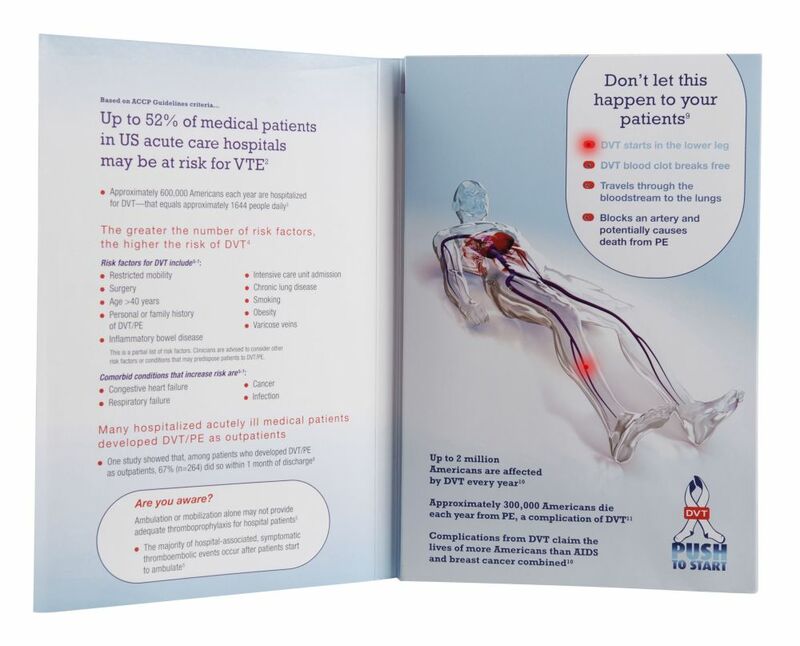 To help create interest and support for DVT awareness month, Sanofi Aventis developed a program for roll out to hospitals around the country with information on how to implement their own DVT Risk Screening Day and meet accreditation requirements. Educating and building knowledge are easier said than done when dealing with busy hospital administrators. Sanofi Aventis needed to find a way to penetrate their busy schedules and engage them with an informative and unique piece. If that weren’t enough, they also needed to make the entire process as easy to implement as possible. 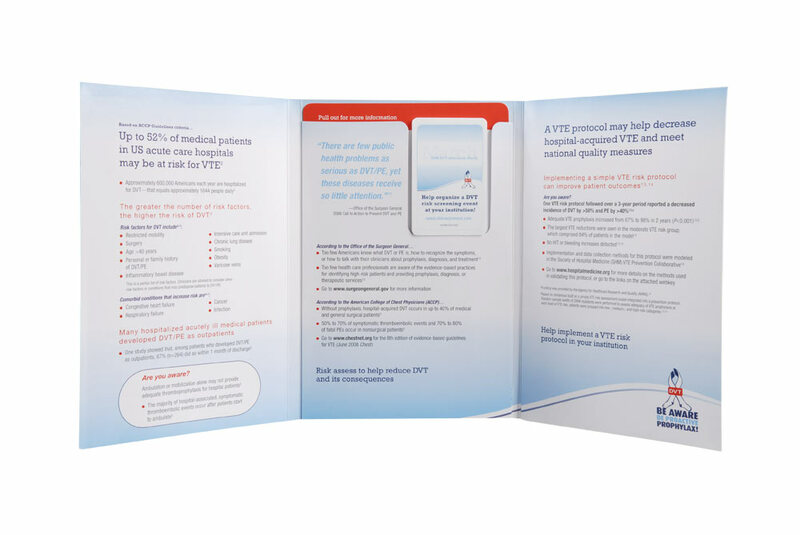 Americhip worked directly with Sanofi Aventis to create a Multisensorized® trifold program implementation guide that showed, via patented LED lighting technology, precisely how DVT affects the body. A synchronized light harness highlights the DVT danger zones in the body, while simultaneously lighting the relevant bullet points describing the disease. 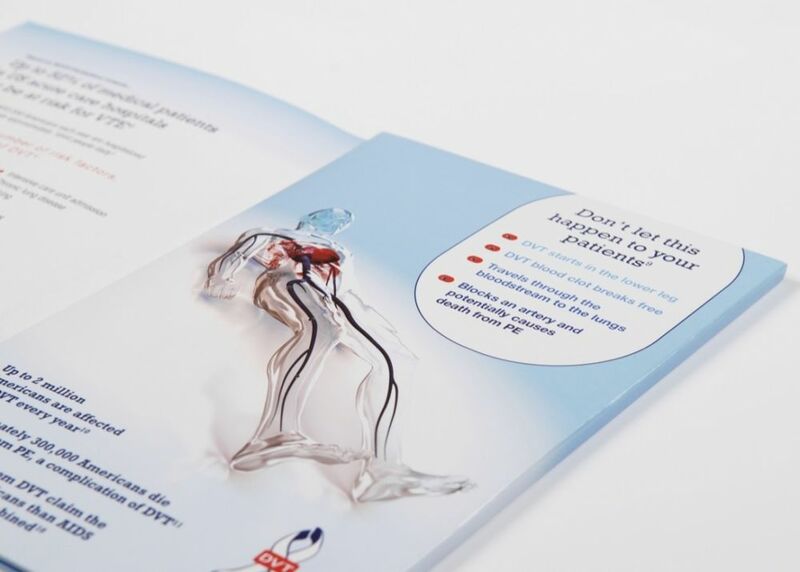 An attached custom- shaped web-key directed the audience to a unique landing page with accreditation information for their hospital. 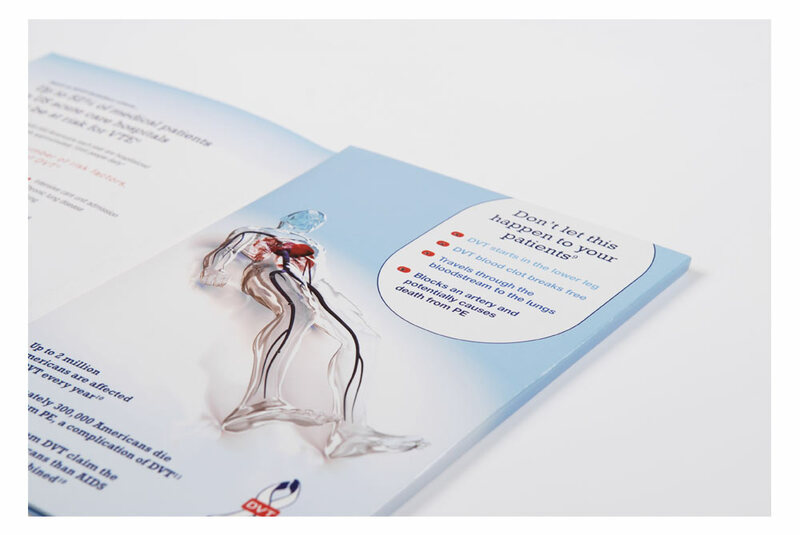 The Program Guide delivered a complex message in a quick and easy way, with the LED lighting creating considerable interest around the focal point of communication. The web-key helped to endorse the Guide and hold the target market’s attention, and, of course, to strongly encourage the desired action.